Will missteps undercut public confidence in a new course on health care? We’re dizzily trying to keep track of all the ways that the new administration is defying the best hopes that it will pursue a health care policy that is fair, open, responsive, and based in evidence, research, and scientific expertise — not partisanship and knee-jerk. Compounding the confusion is that as soon as many of these missteps occur, they then are reversed, or maybe re-reversed. Is this the way to build the public’s confidence in any new course on health care? Yes, every president deserves the privilege of selecting his Cabinet officers, and the U.S. Senate, while advising and consenting, must to a degree defer to presidential picks. 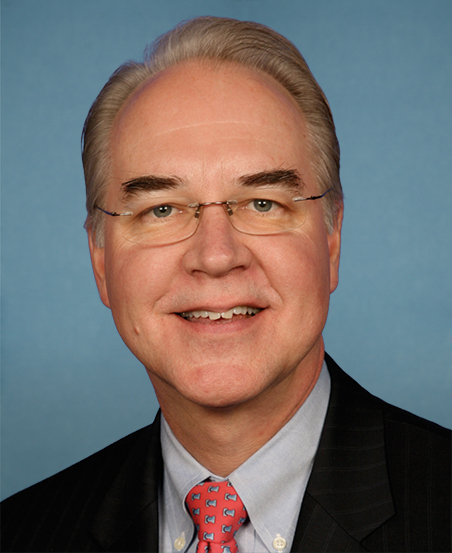 But Tom Price, the nominee to head the trillion-dollar Health and Human Services Department, even if confirmed, has launched poorly into his prospective top position. He did say he supports vaccinations and does not believe the debunked theory that shots cause autism or diseases. But he has offered a woeful lack of information about the administration’s plans on the much-publicized GOP repeal and replacement of Obamacare. He’s been equally blank about what’s ahead for Medicaid and Medicare, as well as how vigorously he might protect the public from bad drugs or dangerous medical devices. Meantime, evidence grows by the day about this nominee’s ethical challenges. Bigly. With his myopia that what’s good for doctors is the best policy course to be pursued, including in seeking to restrict the rights of patients harmed in medical services to seek legal redress, he also sees no issue with buying stock in health care companies, then legislating in ways that affect them — and at times his own orthopedic practice. The nominee is so out of touch that he can’t see the wrong in participating in a sweetheart stock deal with an Australian biotech firm, again that he legislates for, and is unperturbed by his failure to accurately report just how much he profited. His defense of his dubious dealings —that his stock broker made arm-length picks on his behalf—has been nothing less than lame. His defenders, of course, have made the situation more appalling. It’s time to get out a big broom when senators see no wrong if they or their buds vastly enrich themselves during their public service. What’s that plumber fellow in the Midwest think now about senators and Cabinet nominees who throw around stock deals worth five or six times an ordinary guy’s $50,000 annual pay? Price appears headed to confirmation. If he becomes HHS secretary, he’s have his work cut out for him, just to restore his damaged credibility. It’s just plain wrong as can be, in my view, for the GOP to muzzle government scientists and experts who we the taxpayers support, whether they are at the Food and Drug Administration, National Institutes of Health, Health and Human Services Department, Environmental Protection Agency, Centers for Disease Control and Prevention, or the Agriculture Department. Yes, there is a transition period under way. But America’s new leaders severely undercut citizens’ national confidence in them when they issue edicts gagging experts, then reverse those orders, or then say, well, maybe they’re just interim. This is unacceptable, particularly efforts to cut off vital contacts by federal agencies with Congress and the public’s surrogates, the media. (This issue has been much covered in the media, thankfully, so I won’t clutter this item with the many links to stories about the various agencies). Partisans may disagree about policy matters as huge as climate change. But slashing the Environmental Protection Agency and seeking to micromanage or throttle its expertise makes zero sense as the nation confronts pollution of its air and water and the safety of its workers. Consider that a recent study suggests a link between air pollution and Alzheimer’s. There isn’t Trumpcare, yet. So the new administration should act with greater care as officials figure if and how they will repeal and replace Obamacare. President Trump’s broad statements attacking the Affordable Care Act may be good politics and theater. But they won’t help tens of millions of Americans if they destabilize health insurance markets, causing insurers to quit coverage of send rates soaring. Further, what were administration officials thinking when they cut off federal outreach programs aimed at increasing enrollment under the ACA, particularly among needed healthy young people (they help balance the program’s costs against those who are older and sicker in exchanges)? After word leaked out about the administration actions, it reversed its plans. This was silly and damaging more to the administration than the ACA. Reasonable minds may discuss in appropriate fashion how much government America needs, and more specifically, how large the federal workforce should be. But imposing ill-considered, across-the-board hiring freezes is a less than optimal approach, especially when it may mean that hundreds of caregiving positions that address dire needs will stay empty at the Veterans Administration or that badly needed reforms in oversight of prescription drugs and medical devices will not occur due to key posts unfilled at the FDA. The United States government is not a corporation with a CEO who can waltz in and slash and burn its parts at will. Again, it undercuts public confidence when, days after confusion is rife, orders are reconsidered and amended or reversed. Great leaders listen to their constituents – but with care and discernment. It’s incomprehensible that Andrew Wakefield, one of the most disgraceful so-called researchers of recent times and the epitome of erroneous and anti-scientific views about vaccinations and public health, should be an honored guest during presidential inaugural festivities. I’ve already expressed my disappointment that the president has encouraged ridiculous anti-vax views in public meetings. The issue is timely, with new research showing that cervical cancer — which can be reduced and prevented with inoculations — may afflict more women than previously believed. It also may disproportionately affect black women. It’s also worth noting a new and growing outbreak of vaccine-preventable measles in Los Angeles, and an outbreak of inoculation-preventable mumps in the Pacific Northwest.